I can't Love Them the way I Loved You . I A GAY HUSBAND and MY LIFE STORY. I LOVE YOU UNTIL MY FLESH TURNS TO DUST ! 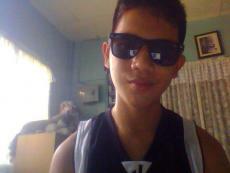 Add me on Facebook : Leon Martin Sadino Manguiob :) tnx .